This may have been at an 82nd convention. 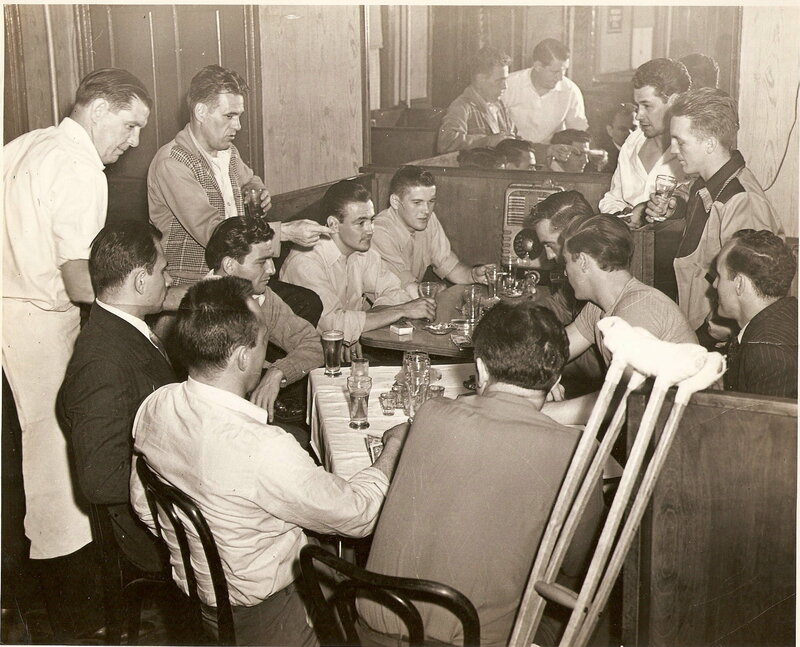 In the left side of the booth are my dad and his great friend Jimmy Gorman. Afraid I don’t know who the rest are. This might be a Philadelphia convention. 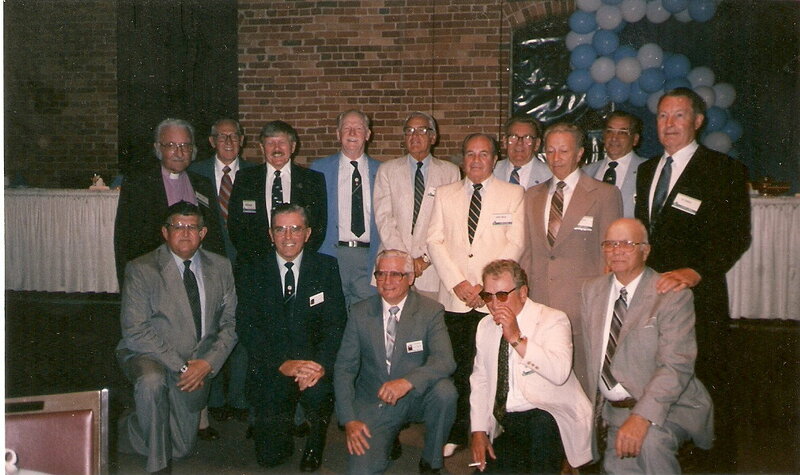 Bill Yednock is at the far left. John King, is the third from the left. Not only was Mr. King in the 505 with my dad, but he also worked with him at the PTC as a bus driver. An 82nd convention. On the right side of the table, my mom is the second woman and my dad is beside her. 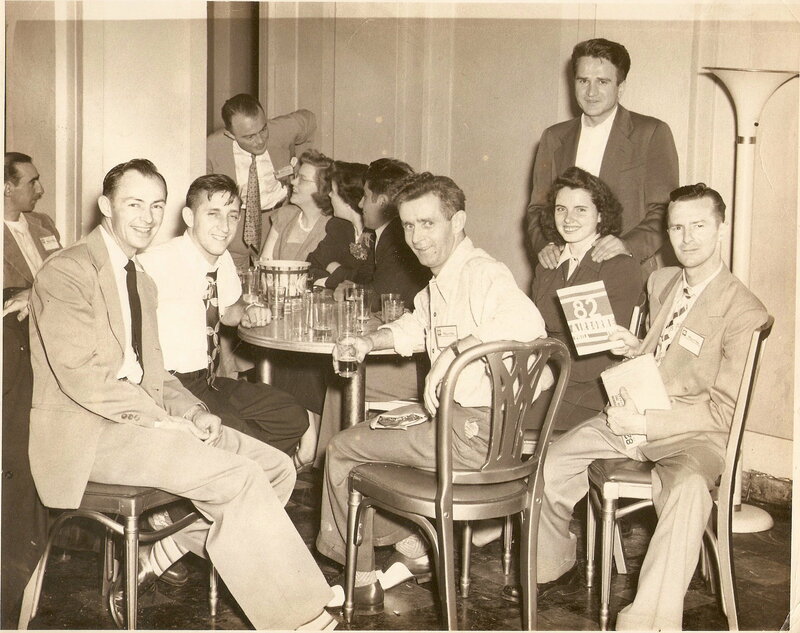 The first couple on the left are Bill Yednock and his wife.The man at the head of the table is the photographer. 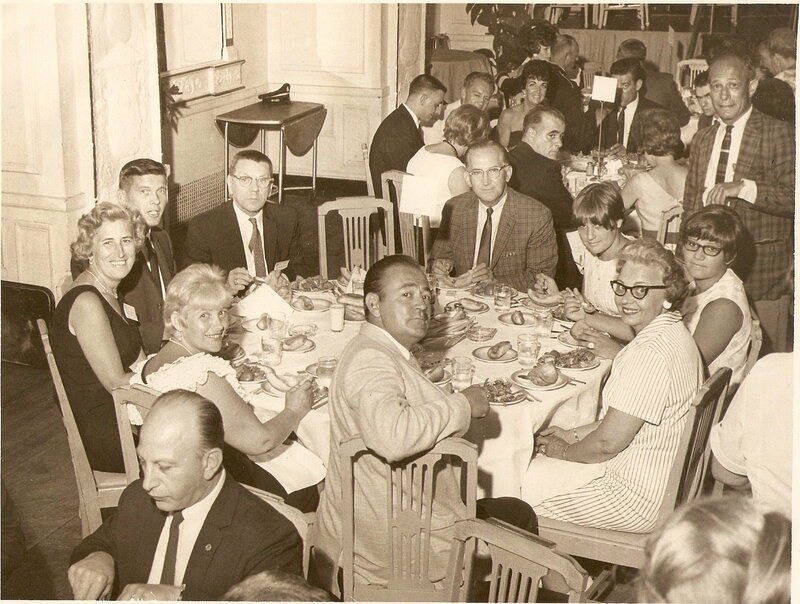 Atlantic City convention – my parents at the front of the table with the Gormans – Jim and Freda – to their left. 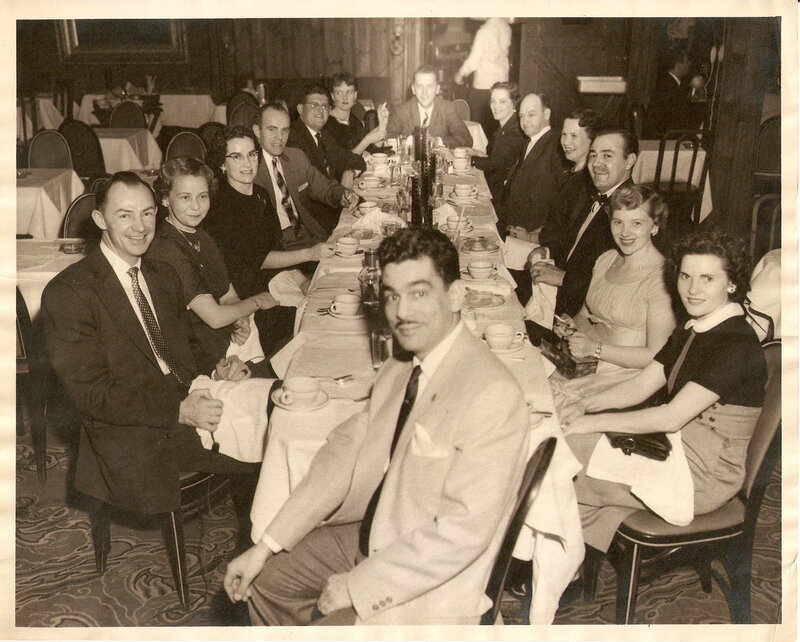 In the back row, second fromleft is Dad with Mom beside him and Mrs. Gorman beside her. 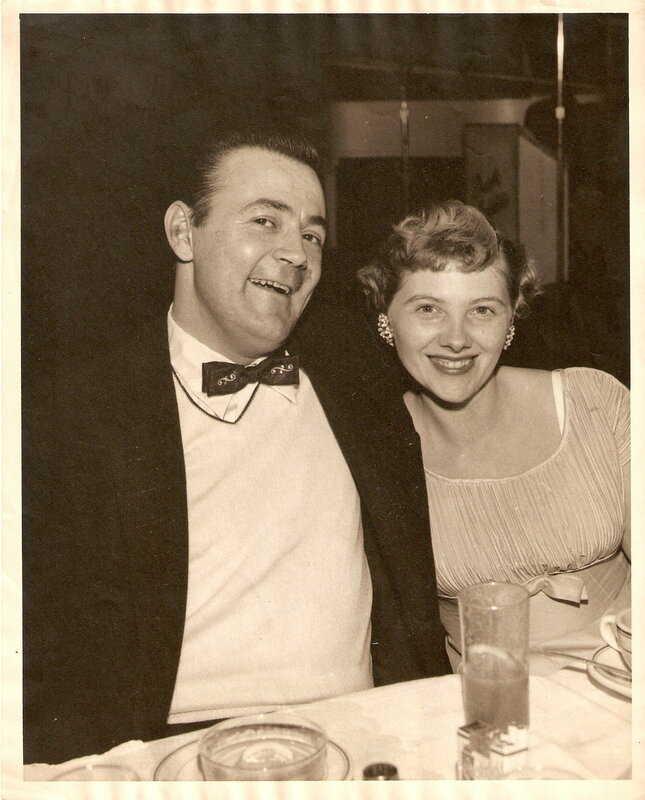 Jimmy Gorman is between my mom & Freda, partially hidden. This was the middle of his hippie days with the longer hair and mustache. 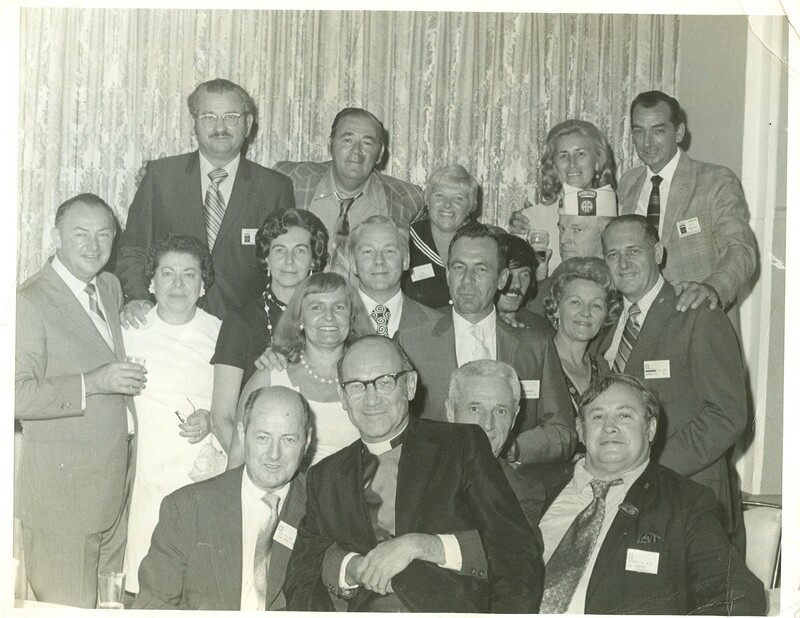 Furthest left are Mr. & Mrs. Yednock. Bottom right, Robert Wills who ended up moving to England.